Different operators compute different finite-difference approximations of the gradient. 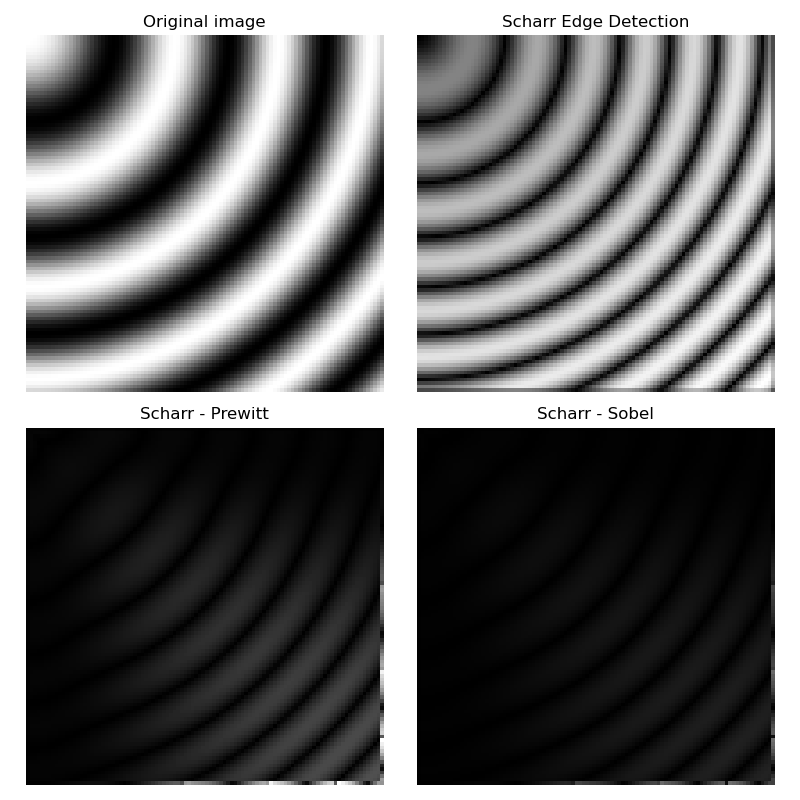 For example, the Scharr filter results in a less rotational variance than the Sobel filter that is in turn better than the Prewitt filter   . The difference between the Prewitt and Sobel filters and the Scharr filter is illustrated below with an image that is the discretization of a rotation- invariant continuous function. 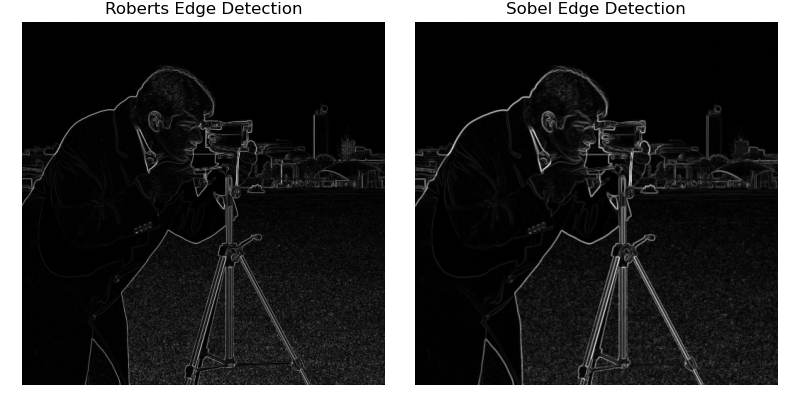 The discrepancy between the Prewitt and Sobel filters, and the Scharr filter is stronger for regions of the image where the direction of the gradient is close to diagonal, and for regions with high spatial frequencies. For the example image the differences between the filter results are very small and the filter results are visually almost indistinguishable.